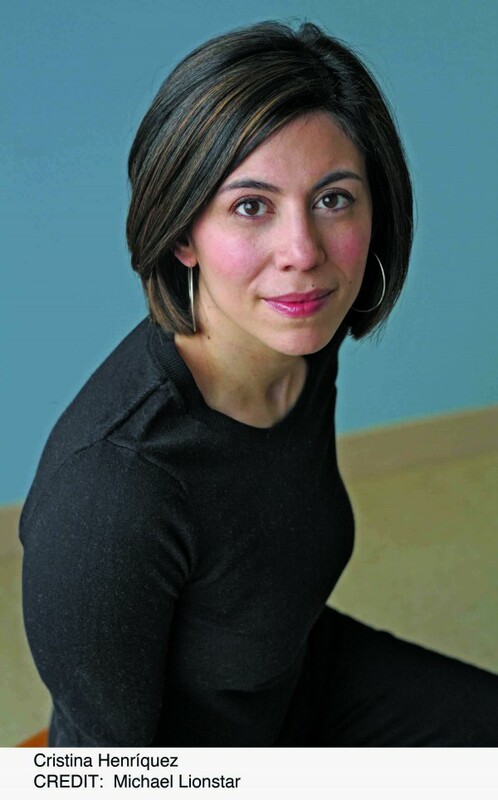 Chicago-area writer Cristina Henríquez is a busy woman. The mother of two young children, she has been actively promoting her critically acclaimed novel “The Book of Unknown Americans,” a novel about Panamanian and Mexican immigrants. Henríquez, whose father emigrated to the United States from Panama in the 1970s, did not write a novel about the immigration experience. As she told us, her book is about immigrants, not immigration. It’s also about love in several forms. And judging by the amount of recognition the book has received, the love is being returned. 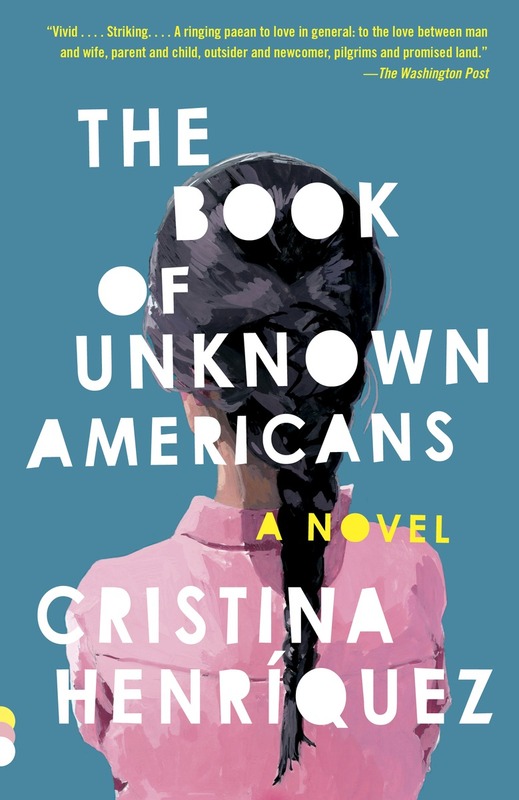 Along with critical acclaim, “The Book of Unknown Americans” earned a spot on the New York Times “2014 Notable Books of the Year” list, was named “The Daily Beast Novel of The Year” (2014), and just was named the Target Club Book for March 2015. Born and raised in Delaware, Henríquez first came to the Chicago area to attend Northwestern University in Evanston. After graduating, she worked two years in Hyde Park for the University of Chicago Press before attending the Iowa’s Writers’ Workshop at the University of Iowa. Then, after living a few years in Texas, she moved back to Chicago with her husband to start a family. Henríquez, who now lives in Hinsdale with her husband and two children, has written three novels: “The Book of the Unknown Americans,” “The World in Half,” and “Come Together, Fall Apart: A Novella and Stories.” She will be in Chicago at the Chicago Humanities Festival March 18. Henríquez spoke to The Chicago Ambassador about “The Book of Unknown Americans,” which was just released in paperback on March 3. CA) You’ve gotten a lot of press and honors for “The Book of Unknown Americans.” Is there one award that’s closest to your heart? Henríquez) It was nice to make the New York Times notable list, that’s for sure. You know, the thing that means the most to me is the feedback that I get from people, especially from people who haven’t seen themselves in literature that often. So, having a book like mine even exist in the world means a lot to them, which I understand. If I had encountered a book like that in high school or college, it would have meant a lot to me too, so it’s really humbling. That’s the stuff that means the most to me. CA) Do some people think you wrote it as a social commentary about current immigration issues despite that fact that it took you five years to write? Henríquez) It gets described often as a book about immigration but to me, it’s really not. It’s a book about immigrants. Those are two different things. I don’t want to sound disingenuous, I know that if I’m writing a book about immigrants, it’s in some ways necessarily political, but I really tried to stick to the human stories behind everything and not deal with the politics or the system of immigration as it exists. I just wanted to tell these stories and I think everybody could relate to it, whether you’re an immigrant or not. CA) You’ve said you started the book with a sentence. In this case it was “We heard they were from Mexico” which turned into a short story, and then the novel “The Book of Unknown Americans.” Is this your normal process? Henríquez) Yeah. Early in my career when I started projects I would have an idea and I would go into it trying to translate my brain to the page but it seemed that things weren’t working out. So, these days I think of a sentence that seems like a fruitful first sentence — by that I mean usually it has embedded in it some questions that need to be answered to move forward. I keep pushing it out, sentence by sentence, at least for the first draft. During revision, you go back and see the themes that have started to come up but in the first draft, my first stab at it is usually a sentence and I’m building on that with another sentence. CA) The “first” sentence may not necessarily be the first sentence of the book, correct? Henríquez) Right, it may not be the first sentence of the book but in some ways it’s generative for me. Generative enough to follow to some other end point. CA) You’re married and have two young kids (a 7-year-old daughter and 2-year-old son). I read that you typically have only 8 hours a week to write. Is that true? Henríquez) It’s even less than that right now! (laughs). It’s really bad because I’ve been promoting and traveling for this book so it’s hard to sit down and actually have any writing time. When I get done with this travel, it will probably go back to 8 to 10 hours a week. Ideally I’d get 20. CA) Does that drive your editor Robin Desser at Knopf crazy? Henríquez) I don’t think so. I think everyone is being patient and understanding. If the years start stacking up and I’m doing nothing, they may get a little restless. CA) With young kids, is it possible to have a structured day to write? Henríquez) I think until they are both in school full-time, I’ll be at the mercy of the babysitter. Right now she’s in nursing school and her schedule allows for me to work in the afternoon, which is usually not a productive time for me. Later this month her schedule will change and I’ll get some mornings back, so hopefully that will be helpful. CA) To get back to the book, you’ve said that the characters in “The Book of Unknown Americans” define themselves as Americans and that whether they are here legally or illegally it’s irrelevant. What is your definition of an American? Henríquez) For me, being able to claim a space is just about your own personal connection to that place. If you feel a sense of belonging and a sense of home in that place, I think you tend to say — I can say ‘I’m a Chicagoan’ but I wasn’t born in Chicago and I’ve lived here for only a small portion of my life, all things considered. I think the places that we claim in our lives are an individual decision and a personal choice. I wanted to honor this idea that these characters felt some claim to this place, even if on paper other people might disagree. I think it’s an interesting way to think about what is a home? Should somebody else give you permission to claim it or should you be allowed to claim it on your own? I think probably the latter. CA) In the book, Rafael’s son talks about the irony of the fact that his family fled to the country (America) that drove them out of Panama. Is that a common topic among people from Panama? Henríquez) I think there is some debate among the Panamanians that I know whether it (the U.S. invasion of Panama) was a good thing for Panama or not. It sort of depends what you went through during that time and your perspective of how the country has grown and changed. There’s kind of a love/hate relationship with the United States because of it. CA) The book isn’t about immigration per se, or the journey. It’s about the characters once they are here. That was a conscious decision? Henríquez) Yes, definitely. I never wanted it to be heavy-handed or political. I didn’t want it to feel like a lecture. I wanted people to get wrapped up in the characters and their lives and their struggles, their hopes and dreams and all that good stuff. I wanted to tell a good story and that was my concern from the beginning. CA) While the book is focused on immigrants rather than immigration, you do have a website called The Unknown Americans Project, where people of all backgrounds can share their story about coming to America — so that’s an important part of the story as well for you? Henríquez) Yeah, I think the spirit of the book — I felt in some ways I was writing it in response to what I saw as a certain kind of narrative that was developing about immigrants, and in particular about Latino immigrants. And part of combating that narrative is telling different kinds of stories, and insisting on telling different kinds of stories. So the book was told in that spirit and the continuation of that was the project that I started because I wanted to give people a platform and a place and an opportunity to tell their story about coming to the United States. It’s open to anybody, you can tell your own story, you can tell a family member’s story. It seem important to me to redefine the narrative that I think people fall back on so often. When I say ‘the narrative’ my sense is that it was skewing negative, and that it wasn’t fair or representative. I wanted to correct that in some ways. I think if you can find a place for people to tell their stories and we can come to some kind of understanding about each other, actually listening to those stories, that can be a very powerful thing. CA) I love the title. I know for you it was vital to have the word “Americans” in the title, but for me, the word “Unknown” is even more interesting. Do you think a lot of immigrants feel like they are “unknown” Americans? Henríquez) Yeah, I do. I think that they feel that they get lumped into this narrative that there’s a certain kind of immigrant, and if you’re a Latino immigrant, the assumption is that you’re Mexican, which is often not true. I think there are whole nationalities, whole countries that feel unknown and unidentified and under-appreciated. I thought about that word quite a bit. I cycled through a bunch of adjectives and I kept coming back to that one. It just seemed right. There’s a line in the book: “She felt conspicuous and inconspicuous at the same time.” I think it’s partly that. It’s like every one is looking at you in a weird way, but at the same time every one is ignoring you. CA) You discovered your love of writing in an interesting way. (Henríquez had a crush on a boy in high school and used to tell him how she felt. One day he gave her a blank notebook and told her to ‘Write it down.’ She did, and along the way, discovered she loved writing.) You gave the journal to the boy you had a crush on. Did you ever get it back? Henríquez) Yes, a few years ago he gave it back to me, we are still friends. I have it in my possession and I’ve been going to a bunch of high schools and doing events and I’ve found it fun to read them some of the journal entries, even though it’s highly embarrassing. They seem to love it. CA) Any plans to turn that into a story of itself? CA) You didn’t discover that you loved writing until high school, but were you a big reader before that? Henríquez) I was, since I was a little girl. I remember bringing home the Scholastic order forms and circle every book for my parents to buy for me. I was always reading. CA) Currently, do you have any time to read? Henríquez) I do. I’ve been trying consciously to make more time for it. CA) Any authors that you rush out to buy when they put out something new? Henríquez) I just read Marilynne Robinson’s new book “Lila.” She’s one of those writers that you don’t have to tell me anything about the book she’s written. You just have to tell me that she’s written a new book and I will buy it, I’ll be first in line. I also just read “On Immunity” by Eula Biss and she’s another one of those writers for me now — she could write a book about hotdogs and I would read it. I just started a new book by MB Caschetta called “Miracle Girls.” I hear a lot about books on Twitter, from friends and other writers. CA) You are one of 3 judges for the 2015 PEN/Fusion Emerging Writers Prize, which gives $10,000 to an new writer. How did you get involved with that? Henríquez) I don’t know. They sent me an email out of the blue one day and invited me. Two others, John Freeman and Roxane Gay are doing it with me and I admire both of them so much, I’m happy to be doing it with them. This is the first year for this award and I’m excited to see what comes in. CA) Have you worked with any up-and-coming or student writers? Henríquez) Yes, I teach from time to time at Northwestern and I’ll be teaching there again this spring. I’ll start a new class there, a fiction workshop. I’m excited to see what the students will be working on. I’ll also do some individual mentorships. CA) Have you started working on anything new? Henríquez) I have. I’m in a very early stages of it. I have an idea burning in my brain that I’ve been working on a lot on plane rides lately, which is very productive. CA) What do you say to someone who wants to write a novel? What’s the key? Henríquez) I think there’s a few useful suggestions. One is to read as much as you can and to read with a writer’s eye. Trying to flush out what were the decisions that the author made behind the scenes. (For example), when you read something that makes you have an emotional response, think about how the author achieved that. Try to break it down and slow it down, which is hard because then you aren’t reading for pleasure as much as you are to try to learn something. Another suggestion, and I say this more to young people, is to put away your phone, sit on the train and observe people. I get a lot of my ideas just by sitting and watching. I’ll see someone on their phone and who is visibly angry and I’m wondering what’s happening on the other side of that conversation. A lot of times, trying to come up with the scenario lends itself to a story. Cristina Henríquez will make her next public appearance in Chicago at the Chicago Humanities Festival March 18. It makes me want to order the book right now–very insightful interview.